Newborn babies and infants need special protection while travelling in airport limo. A rear facing infant child car seat faces the back of the vehicle, rests at a 45-degree angle and when properly installed, it moves no more than 2.5 cm (1 in.) where the seat belt or UAS strap passes through it. If necessary, use a tightly rolled towel or a foam bar (pool noodle) under the base of the child car seat to adjust the recline angle to 45 degrees. Harness straps should sit at or slightly below the child’s shoulders. You should not be able to fit more than one finger underneath the harness straps at the child’s collarbone. The chest clip should be flat against the child’s chest at armpit level. Booster seats raise children so adult seat belts protect them better. Booster seats protect children from serious injury 3-½ times better than seat belts alone. Seat belts are designed to protect older children and adults. Booster seats raise a child up so that the adult seat belt works more effectively by properly positioning the seat belt across the child’s body. Booster seats protect against serious injury 3 ½ times better than seat belts alone. A lap and shoulder combination belt must be used with all booster seats. Your child’s head must be supported by the top of the booster seat, vehicle seat or headrest. The shoulder strap must lie across the child’s shoulder (not the neck or face) and middle of the chest. The lap belt must cross low over the hips, not the stomach. Never use seat belt adjusters. Toddlers need special protection while travelling in airport limo. To prevent the child car seat from moving forward and causing injury in a collision, it is important to use the tether strap exactly as the manufacturer recommends. Make sure the harness straps are at or slightly above the child´s shoulders and are snug, with only one finger width between the strap and the child’s chest. Place the chest clip at armpit level. Seat belts are designed to protect older children and adults. Once a child can sit against the back of the vehicle seat with their legs bent comfortably over the edge, and they can maintain this position for the entire trip, they are ready to move from the booster seat to the vehicle seat belt. Make sure the shoulder strap lies across the child’s shoulder and the middle of the chest (not the neck or face), and the lap belt crosses over the hips not the stomach. Never put two children in the same seat belt or place the shoulder strap behind the child’s back or under their arm. One person, for each seat belt. Travelling with Kids Visiting to GTA Toronto to see You extended Family and don't want to bring your baby car seat with you. NO Problem we are here in Toronto to help you. We will make sure to pick you up at Toronto Pearson Airport in Installed car seat airport limo of your choice from Bucket, Rear Facing, Front Facing or Booster Car Seat. Our Limo Service will make it Possible to have a car seat Limo Service available for infant & children for all ages. Leave the bulky and heavy car seats at home and we will provide you with our Clean and SANITIZED Car Seats already Installed. Please book Your Car Seat Limousine at least one day in advance for the best service. We only arrange prearranged and prepaid limo service. 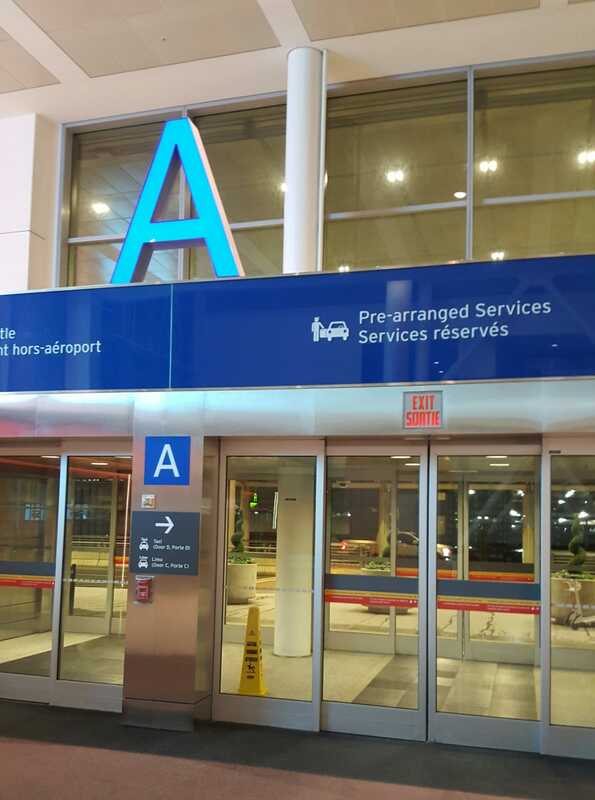 Upon Arrival after Claiming your Luggage follow the Signs inside the Terminal as " Prearranged Airport Limousine ", those Signs will Bring you to the Terminal Exit Doors. Approach Airport Official sitting inside a Prearranged Limo Booth by just beside the Exit Doors. Sign in and ask Him to Call Exclusive Limousine Services Car al ready Booked & Waiting for You from Compound. When installed and used correctly, child car seats and booster seats can reduce the risk of children being injured or killed in collisions. Community car seat inspection clinics indicate that many child car seats are installed and or used incorrectly. Common errors include not tightening the seat belt, Universal Anchorage System (UAS) strap and harness straps enough, and not properly using a tether strap when it’s required. Make sure your child is safe and secure and is buckled up right. Children 12 years of age and under are safest in the back seat, away from front active air bags. By law, drivers are responsible for ensuring passengers under 16 years of age are secured properly in a seat belt, a child car seat or booster seat. In Ontario, if your child has a special need (such as a medical condition) that does not allow your child to use a conventional child car seat, you may choose to use a child restraint system that complies with federal safety standards that regulate alternative restraints for children with special needs. The law in Ontario states that your baby needs to be in a rear facing infant car seat from birth to at least 9 kilograms (20 pounds). However, safety recommendations suggest keeping your child in a rear-facing child car seat for as long as possible. Some rear-facing child car seats are made for children that weigh up to 20 kilograms (45 pounds). Don't worry about your child's legs touching the back of your vehicle's seat as long as your child is still below the weight and height limits of the child car seat. Terms & Conditions: Please note that child seats are provided as a courtesy so you don’t have to haul around extra baggage. Car seats may not be installed depending on the driver’s knowledge of installation and he should not be forced to install it. We take absolutely no responsibility of any mishap that may arise due to installation of the child seat. It is passenger’s responsibility to make sure car seats are installed properly. We make every effort to make things easier for you. We will try and have the car seats installed, but if they are not installed, please understand. More than one car seats can be ordered if you like. All of our car seats comply with Canadian Standards. If you have any further questions or concerns, please do let us know. Please keep in mind that Since our drivers are making an extra effort in Picking up the car seat/s, bringing them to you and after servicing you are dropping them back to the office, So, Please expect to get charged more than a regular fare. In case of a No show, Toronto Airport Child Seat will not be responsible in any possible way to guaranty in providing limo with child seats.